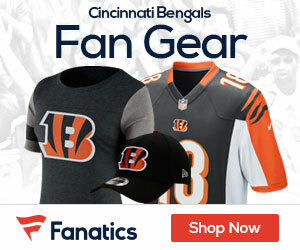 Entering the 2016 NFL season, the Cincinnati Bengals, who won 12 games last year, were viewed as AFC contenders. At 2-2 through their first four games of the campaign, that notion hasn’t entirely changed. It’s become clear, however, that re-reaching last season’s peak won’t be easy. 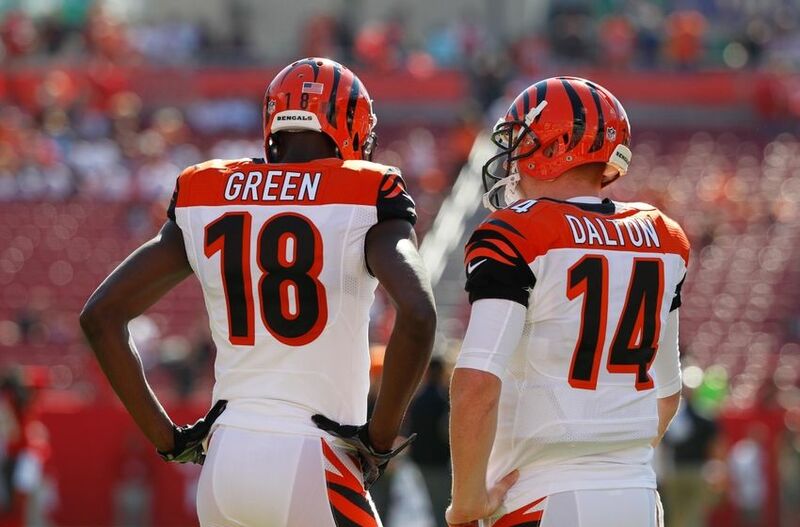 For starters, the Bengals’ passing offense isn’t what it was in 2015. Last year’s rushing attack was so strong that it balanced out any aerial misgivings. This year’s rushing attack, still headlined by backs Giovani Bernard and Jeremy Hill, hasn’t yet reached last season’s eminent heights. The Bengals are struggling to get anything going in the air, largely due to their current troubles on the ground. Their strained running production makes them easier to defend, which has, in turn, left their passing approach to devolve into a risky game of dependence on A.J. Green. Losing offensive coordinator Hue Jackson to the Cleveland Browns, whom he is the head coach for, isn’t helping matters. His blocking schemes appear to have been different, and thus more effective, which might help explain the tough stretch Cincinnati’s backfield is enduring. On top of that, tight end Tyler Eifert continues to recover from offseason surgery on his left ankle. His replacement, C.J . Uzomah doesn’t carry the same cachet at the position, which helps opposing defenses a great deal. 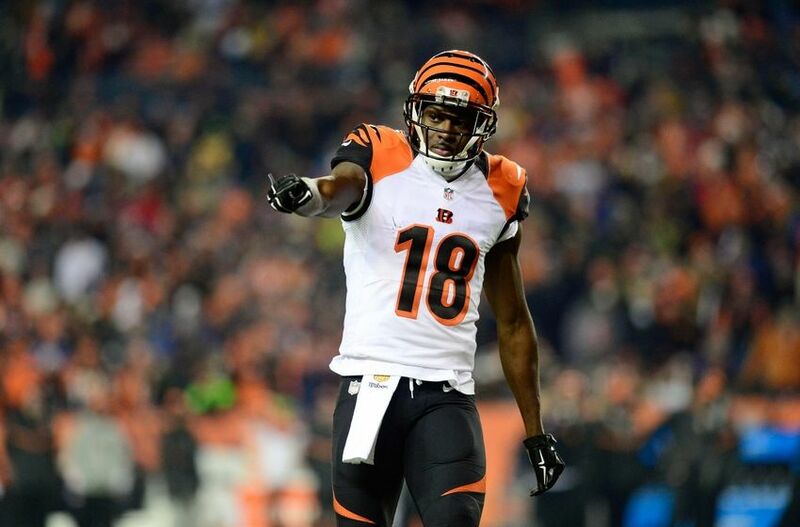 Still, the Bengals’ slow start isn’t enough to really doubt them. They are tied for the 12th-best Super Bowl odds (+2500) and are tied for fifth in AFC Championship chances (+1200), but their stock is on its way up, owed in no small part to the schedule. Just two of their remaining 12 games come against teams with top-10 Super Bowl odds: The New England Patriots (+375), and the Pittsburgh Steelers (+900). They fell to the Steelers in Week 2, but the game was played on the road and they managed to remain within striking distance. Suffice to say the Patriots tilt, which will feature Tom Brady, is the only one Cincy truly has to fear. In the grand scheme of things, though, the Bengals need to focus on winning the AFC North Division. That’s the most surefire way to punch a playoff ticket. Currently, with one quarter of the season in the books they’re in third place, behind the 3-1 Steelers and the surprisingly 3-1 Baltimore Ravens (+2500). While that could be some cause for concern, it really isn’t. Week 4 and the Bengals are, at the very least, on equal footing with them—something that will come to light more once Eifert, who remains quarterback Andy Dalton’s second-favorite target, returns to action. As for the Ravens, well, the Bengals have better Super Bowl odds for a reason. Baltimore’s offense still isn’t good. It ranks 24th in points scored per game to Cincinnati’s 23rd, but unlike Cincy’s scoring machine, it lacks the available personnel to improve as the season goes on. That puts all the pressure to win on the Ravens’ defense, which ranks among the top five of points allowed per game thus far. And that’s fine when you’re facing rebuilding teams like the Jacksonville Jaguars (+20000) and Cleveland Browns (+100000), or fringe-playoff squads like the Buffalo Bills (+7500), but the Ravens’ schedule is going to get tougher. 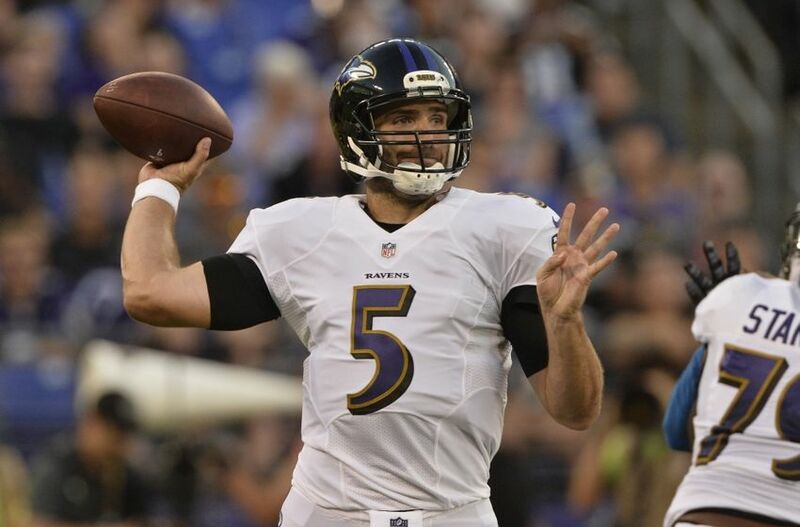 Baltimore has two games remaining against each of Pittsburgh and Cincinnati, will play the Patriots once and must also face off with understatedly talented teams like the New York Giants (+3300), Oakland Raiders (+4000) and Philadelphia Eagles (+2200). The Ravens will actually close the season with games against the Patriots, Eagles, Steelers and Bengals. That doesn’t bode well for their chances. More good news for the Bengals. Cincinnati, by comparison, wraps up its year against the Browns, Steelers, Houston Texans (+3300) and, obviously, the Ravens. And that bodes exponentially well for its chances, should its playoff hopes come down to the wire. Despite their slow start to the year, it’s easy to still consider the Bengals viable AFC threats. Their schedule doesn’t work against them, and they’re working with largely the same group that won 12 contests just one year ago. Their biggest offseason loss was No. 2 wideout Mohamed Sanu, who signed with the Atlanta Falcons, and his absence won’t seem like such a big deal when Eifert finally takes the field. More than that, the AFC is still begging for a true contender outside the reigning Super Bowl champion Denver Broncos (+1200) and Patriots. The Steelers are of some concern, but the rest of the competitive field isn’t booming with proven options. The Kansas City Chiefs (+2000) have been maddeningly inconsistent on offense, more so than usual; the Raiders are young; the Texans’ offense ranks second to last in points per game for the year, and its defense just lost J.J. Watt; and the Ravens, as previously outlined, are mostly innocuous. That leaves you free to take the Bengals’ Super Bowl and AFC championship odds as they are. They remain a wild card play on either front—as in, just behind the Broncos and Patriots. And, under the circumstances, that’s a pretty great place to be.